diploma Archives - UVANU INTERNATIONAL | Recruiter Agency, Study in Canada, Vancouver. Road Map to Immigrate with ECE program! Would like to STUDY and IMMIGRATE to Canada? 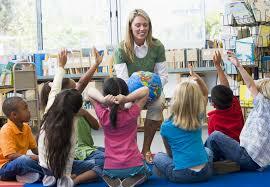 ECE (Early Childhood Education Basic) program at Sprott Shaw College is your ticket!! Early Childhood Education (ECE) is a study that is design to make people understand about what kind of activities and/or experiences can affect the developmental of young children from early age until around age 7. This time period is widely considered to be the most vulnerable and crucial stage of a person’s life. http://en.uvanu.com/wp-content/uploads/2016/04/ECE.png 291 602 http://en.uvanu.com/wp-content/uploads/2013/11/logo.png 2016-04-15 15:35:412016-04-15 15:44:33Road Map to Immigrate with ECE program! Looking for a CAREER to bring back to your HOME country? NEW IMAGE COLLEGE OF FINE ARTS HAS IT!! Live/Study/Work in one of the most liveable cities in the world and experience the cultural melting pot for the arts. As Hollywood North, it is a hub for TV, Film, Movie Making and Make-Up Creation. Vancouver also being ranked as the healthiest city in North America and the fourth healthiest in the world. Making this a city that booms with cultural diversity, experiences and a wellness lifestyle. Making it the perfect home for New Image College, and the perfect place to call home while you study.